Sadly, unless you’re one of the lucky few who can take time off whenever you’d like, school holidays and days off from work are often precious and few and far between. When it’s months away til you next escape from the stress of city life, it can lead to a pretty severe case of HDD (Holiday Deprivation Depression). Admittedly, HDD may be made up, but the feeling of having to count down the days until your next holiday is definitely not. 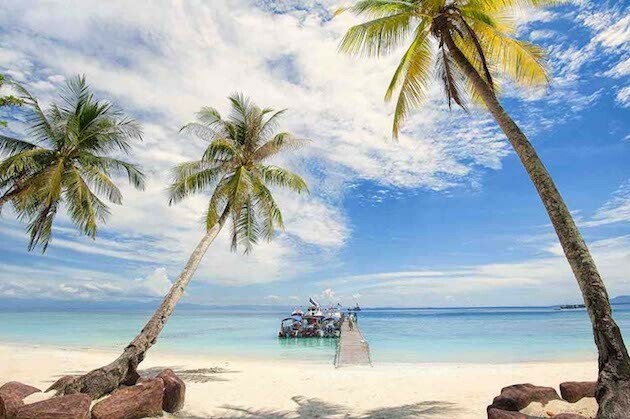 Luckily for us, Singapore is slap bang in the middle of some of the most beautiful beach paradises in the world - many of which you don’t even need to step on a plane to reach. Everyone’s heard of Bintan and Batam, but here are some of the best handpicked weekend break destinations that don’t even require a trip to the airport. Weekend away you say? See you there! 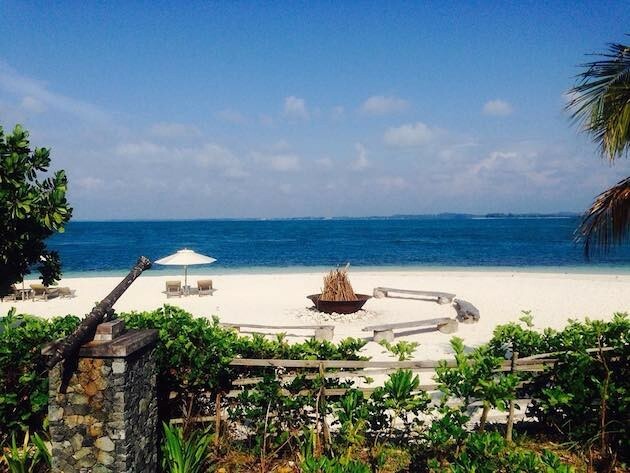 We all know that Bintan and Batam are popular beach spots, but Indonesia has so much more to offer. With beaches this beautiful, it seems impossible that they can be this close to home, but they’re all just a short plane-free journey from Singapore. 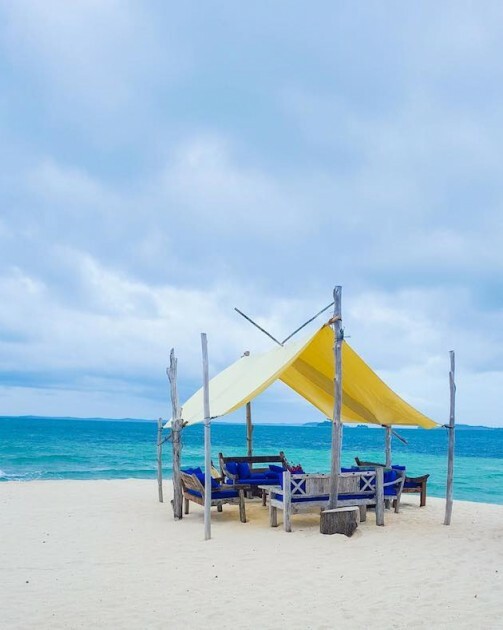 Sugi Island is a little further south than the painfully popular Batam, but with impossibly white beaches as far as the eye can see, you’ll think you’re in the middle of your own little paradise. 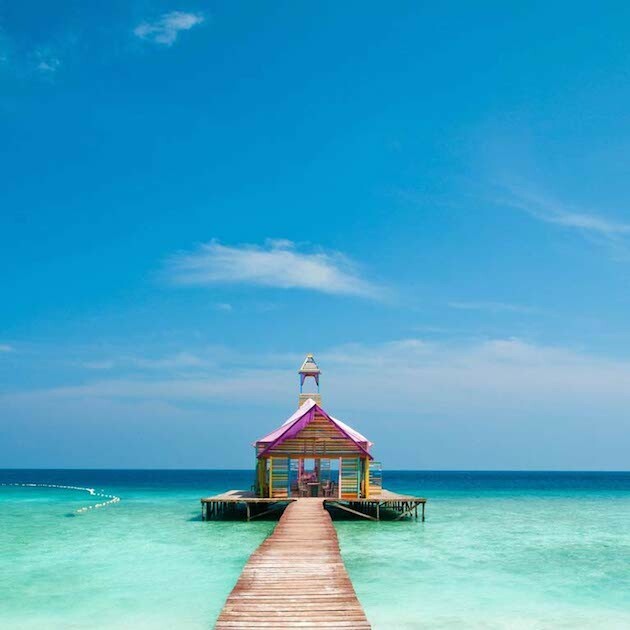 For such a large Island, there’s only one main hotel, Telunas, where on their main resort you can either go for the cheaper Deluxe Rooms, or the more luxurious Beach Chalets. These are larger and include your own private balcony, starting from $213 per night. When the ferry from Batam only costs $47 including terminal tax per person, you won’t even mind that you’ll be spending a weekend without any aircon. The thought may put you off at first, but there are ceiling fans and the rooms are all designed to circulate air and keep you nice and cool. If you still need help to ditch your aircon addiction, maybe the freshwater infinity pool might change your mind. Or perhaps the fact that it’s all built on stilts over the crystal clear water in its own private cove? Yeah, thought so. In case you fancy exploring the paradise that you’re in, you can either take a boat ride or kayak through the nearby mangrove swamps, embrace the Indiana Jones within and explore the island past the beach and pool. 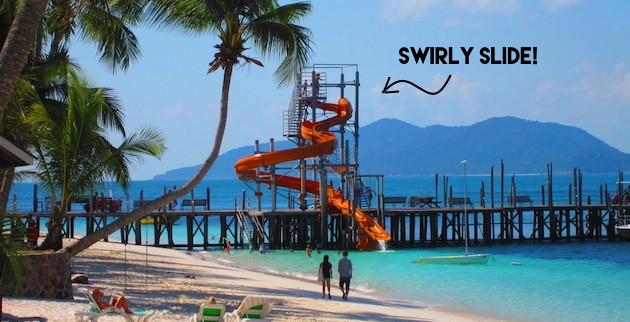 There’s the main beach resort, as well as the Telunas private island, depending on just how much cash you’re willing to splash. If you’re on a budget, a 3 day 2 night trip staying in the cheapest room in the resort including taxes and food will cost $581, including transfer to the island. Getting There: Catch a ferry from Harbourfront Ferry Terminal to Sekupang in Batam through SINDO Ferries or Batam Fast Ferry. Someone from Telunas will pick you up and bring you to the Malay fishing boat that takes you to the Resort. Nikoi is one of those Islands where you feel as if you’re on your very own film set. It’s a tiny private island with only one hotel, and the beaches look like Leo DiCaprio will stroll down one at any moment, The Beach style. It’s very popular, so if you’re interested you need to make sure that you book a fair few months in advance. Along with its popularity, it’s also one of the priciest destinations on the list, at around $1,100 for 2 adults staying for 3D2N in the cheapest room available. And don’t think about only staying for one night to save money, as it’s a 2 night minimum stay. Don't be turned off by the cost though - for this price you get 3 separate bars, 2 swimming pools, a selection of watersports and even a cinema on the beach. All sounds a bit more convincing now, doesn’t it? There are a million and one activities to take part in. From rock climbing and tennis to windsurfing and sailing, you’ll struggle to find an activity you don’t fancy doing. It’s also a hotel that invests in the protection of Sea Turtle nests and solar hot water, so technically you’re helping save the environment too. Just in case you needed another reason to go on holiday. 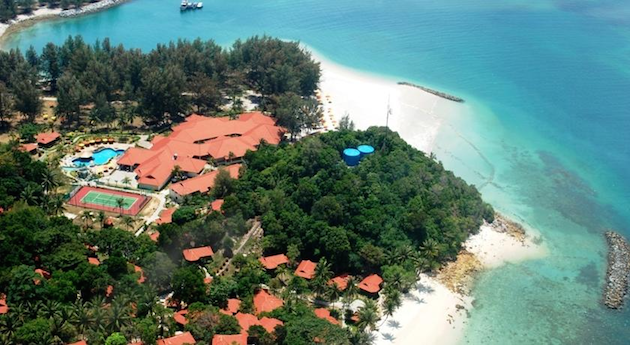 To get here, you first need to get the ferry to Bintan, where a driver from the hotel will collect you and take you to the next dock an hour away, followed by a short 20-30 minute ride to the Island itself. Also, when looking online at the room prices, make sure to follow through and see what the final price is after actually paying for transfers and meals, the price tends to increase by quite an amount. Getting There: Catch a ferry from the Tanah Merah terminal to the Bintan Ferry terminal, where you will be met by a Nikoi member of staff to take you the rest of the way. 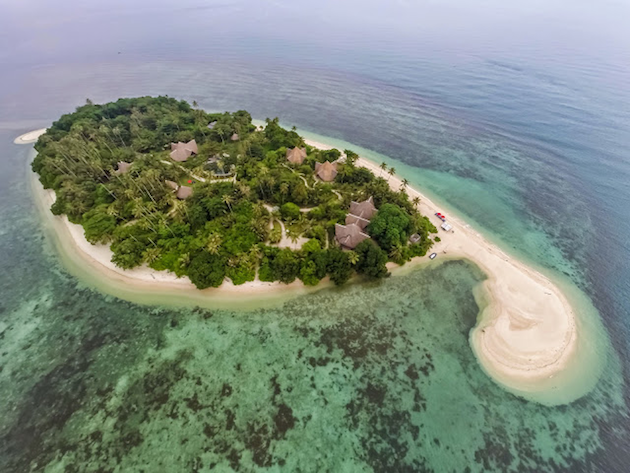 Another secret paradise found south of Bintan and Batam, Pulau Joyo is a private island where you can book either one of their ‘Palaces’, or if you’re a group of 12 or more, the whole island itself. If this already sounds good, take a look at their photos and get your credit card ready. Just imagine those Instagrams on an empty beach with your friends, the Snapchats of your group bonfires, the YouTube video of your holiday… you get the idea. 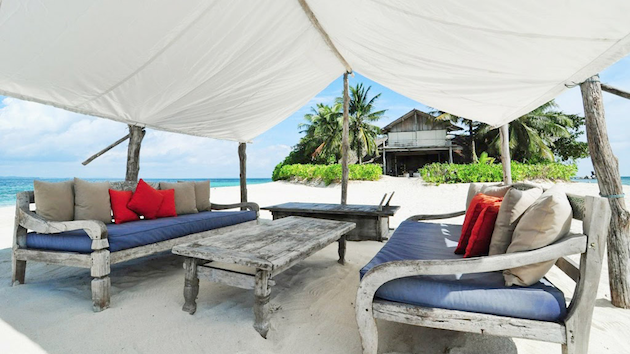 Having once named one of the top 10 island retreats in the world by The Daily Mail, they're known for the amazing sunsets seen from their beaches, which can be enjoyed next to a bonfire or while eating your dinner on the sand. Enjoy that thought tonight while eating dinner in front of the TV. Joyo focuses on staying true to Indonesian tradition and architecture, creating some seriously amazing looking palaces. Even if you don’t choose to rent out the entire island, each palace has its own little section of beach, and they’re all spread out around the island, leaving you with a sense of freedom. 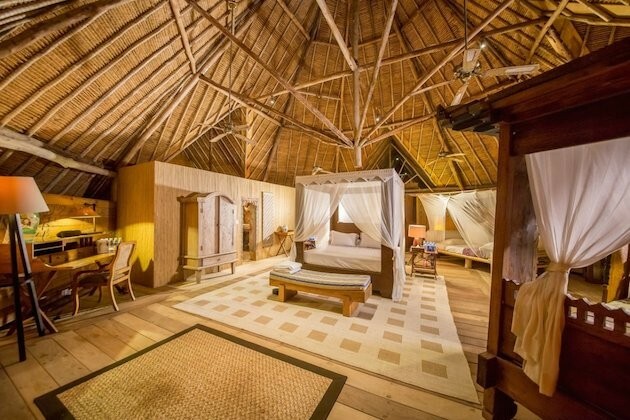 To book the entire island, it’s a costly $4,600 per night, you also need at least 12 adults to be staying and you need to stay for 2 nights, working out at $667 each for a 3D2N stay. This might sound expensive, but actually works out cheaper to be on the whole island with your friends rather than staying in a Palace, as staying in a Palace costs $766 per night with a minimum of a two night stay. Aside from sunbathing and sleeping, feel free to to snorkel, play badminton and even go on fishing trips if you book the whole island. If you do fancy just chilling, a movie is screened each night from their Cinema Paradiso - there’s no denying that they’ve thought of everything. Getting There: Ferry from Tanah Merah Ferry Terminal to Tanjung Pinang, where you will be met by the resort staff. When to Go: March - October. 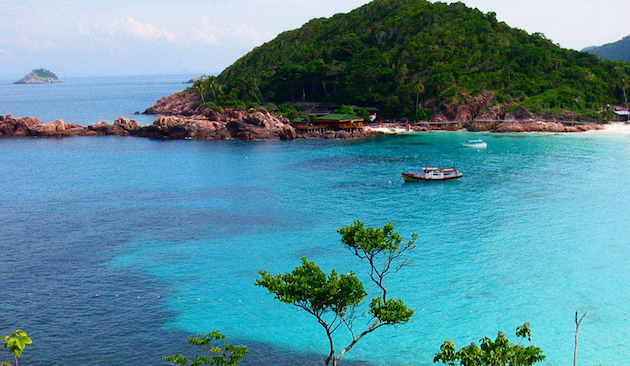 Pulau Pangkil Kecil is pretty much the island of everyone's dreams. 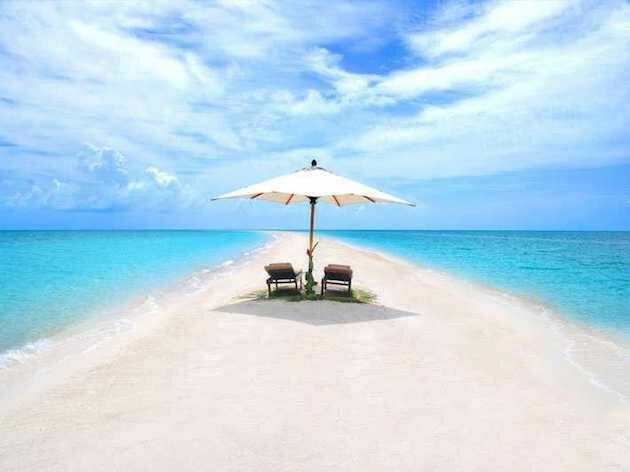 If you can honestly say that you’ve never wanted to stay on a tropical island with just you and your friends and with every need catered for, you’ll change your tune after seeing this. You are the only paying visitors, all of the staff are dedicated to you, and you can use everything from the kayaks, indoor movie screen, pool and bar to the volleyball nets. No noisy children, no getting annoyed at complaining travellers - it’s entirely yours. Of course, this paradise has to come with a price tag. The cheapest price for 3D2N is a hefty $6,440. Although this sounds painful at first, this price is the same no matter if you have 1 or 10* people staying, and also includes 3 meals a day each, transport to and from Bintan, tea and coffee, full use of the island’s resources and also nightly beach bonfires. So when you look at it as $644 each for a weekend of food, travel and luxury all on your own island, it suddenly seems like the best plan ever. *For guests with more than 10 people, additional charges apply. Whether you want to sunbathe on one of their many beaches or go exploring on nearby islands with a picnic and fishing rods, the island is your playground. Snorkelling, kayaking and sailing are just some of the ways that you can spend your days here, or perhaps enjoying the movie screen may be what you fancy. Getting There: Make your own way to Bintan, it’s recommended that you get a ferry to Tanjung Pinang. From there it’s a bus ride organised by the resort to Pama Jetty, and a boat ride to Pangkil. When to Go: All year, although there's a gentle monsoon season from Nov-Feb and April/May. 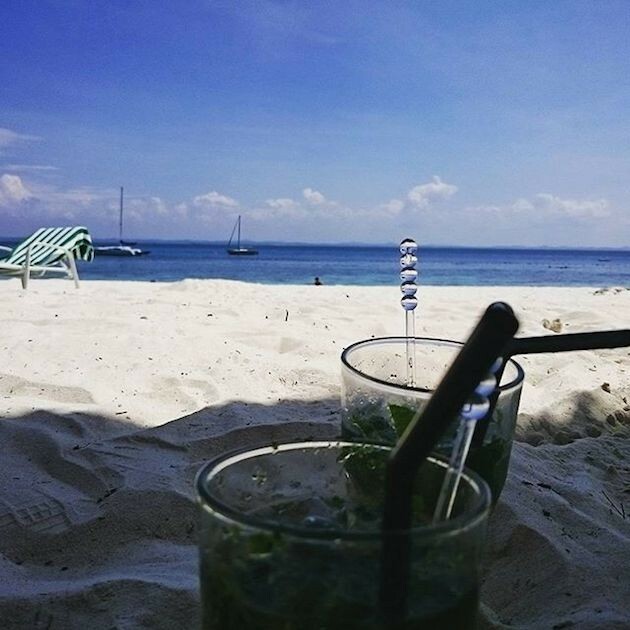 If you’re not that fussed about activities like diving, and would much rather drink cocktails and laze on the beach, Pulau Babi Besar, just off the coast of Mersing, is your kind of Island. Hidden away from the saturated popular spots, Pulau Besar has managed to stay relatively unknown with fewer than 200 tourists visiting every year, giving you the opportunity to really take a break and escape from it all. 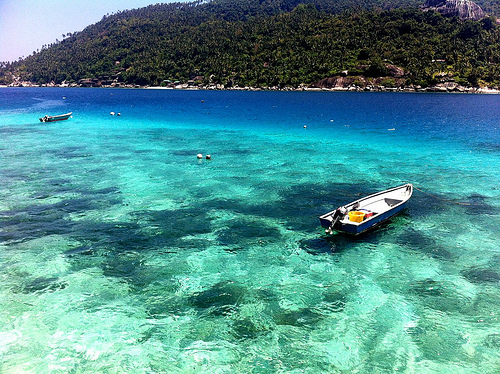 Getting away from the crowds is what Besar is all about, and as it’s technically classified as a Marine Park. 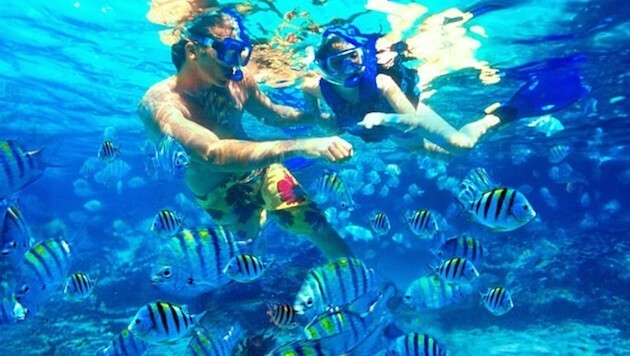 If you do wish to snorkel or swim then the marine life is on a whole new level. There are only a few hotels on the Island, so although variety isn’t high, there are options for any budget. 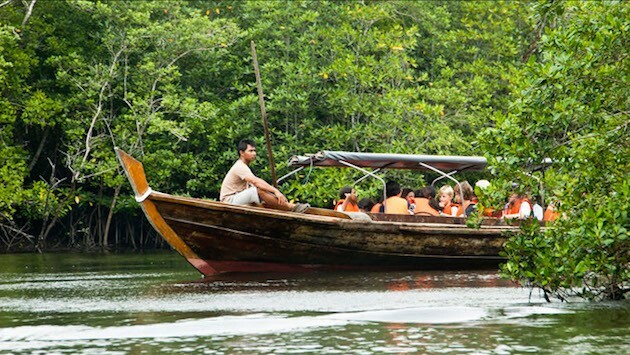 Jungle trekking and island hopping are only a few of the activities that you can take part in here, all of which can be organised through the hotels themselves. The most expensive resort costs around $350 for 2D1N, which is a decent price considering the paradise you’ll be staying in. The journey is also under 4 hours, so turns out that heaven is closer than it seems. 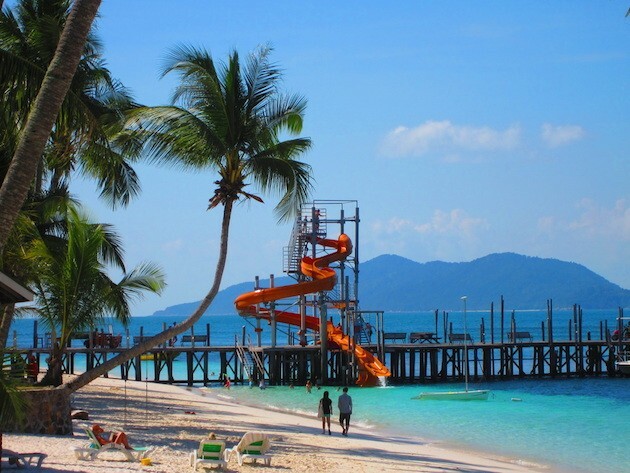 Getting There: Get to Tanjung Leman or Mersing on the east coast of Malaysia, then either independently charter a boat or book one through the hotel that will take you to the island itself. 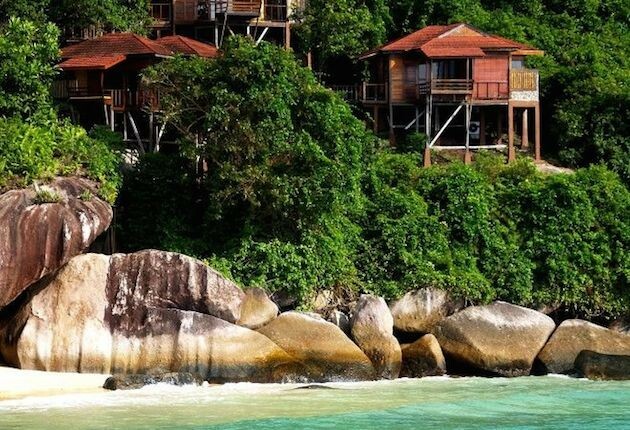 If you fancy staying somewhere full of some of the most beautiful wildlife in the world, Lang Tengah is definitely worth a thought. Not only will you be staying on an island with an untouched tropical jungle, but the nearby coral reefs are full of tropical fish and rays, so you can embrace the Little Mermaid/Merman from within and also take some amazing photos in the process. Plus, if you need any more convincing, from April to October, the island is full of nesting sea turtles which you can volunteer to help protect during your stay. Still need more? There are only 4 resorts on the island, each with their own piece of beach, meaning that the beaches will never be packed with too many tourists. Rooms are also decently priced, with 3D2N at D’Coconut Lagoon in their cheapest room starting from $380. Unfortunately, it does take about 7 hours to get here, however with such low prices and the quality of the sea and the wildlife that comes with it, it may just be worth every minute. Getting There: Find your way to Merang Jetty, and from here it’s a boat to the Island, which you can book through the resort itself. 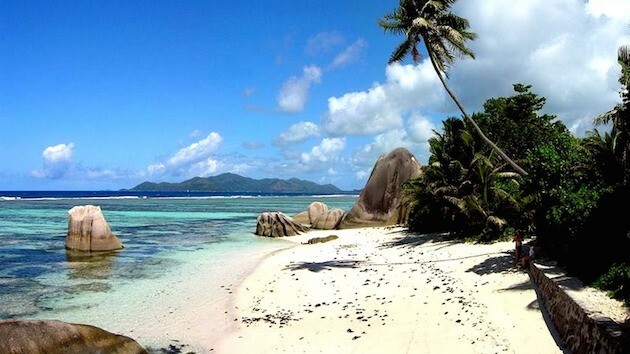 Rawa is one of those places that looks exactly like the photos you find on Google. It’s a tiny island, basically just one strip of beach, with two types of accommodation. There’s the hotel, and then there’s the back to basics option: cute little beach houses with their own balconies and hammocks. This isn’t the most modern or activity filled spot, but there’s a massive jetty with slides to jump off from, a volleyball net on the beach, and if you’re adventurous enough then you can jump off the rocky cliff side. However, to avoid an early visit to actual heaven, make sure to find out if it’s high tide. 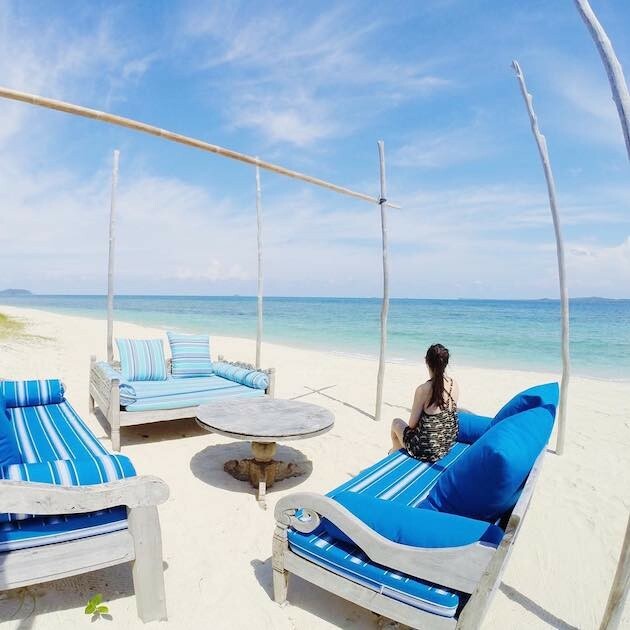 If you want the hotel vibe, 2D1N at the Rawa Island Resort will cost about $327 for two adults, with the beach huts being even cheaper. Although basic, they have all you need for a short break. On weekends it’s adults only, making it the perfect place for a chilled party escape with your friends, but without the whole Patong-Strip vibe. Getting There: Simply get to Mersing first by bus, and then it’s a quick boat to Rawa itself. 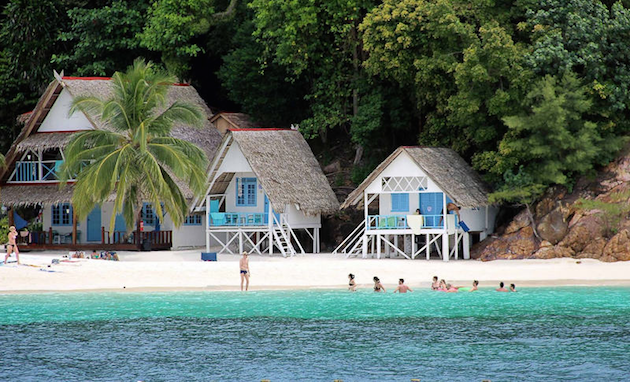 Tioman is gaining in popularity, but that's because it's one of the most cost effective ways to enjoy a weekend away, with mid-range hotels starting from $88 per night. Don’t think you'll only get what you pay for either, because the island is stunning. It’s not known as one of Southeast Asia’s most beautiful travel destinations for nothing, yet it still manages to remain unspoilt by flocks of tourists. If staying amongst the treetops is for you, this amazing experience won’t come cheap. With prices from $250 per night, it may not be for everyone. Although a lot more pricey than other options, if you’ve saved up your time and money for your dream holiday, then it’s the perfect way to celebrate your precious days off. With the budget options, you also get air-conditioning, hot showers and free breakfasts with most of these rates. And for the cheapskates and students among us, even the ultimate value options still have fans and cold showers. 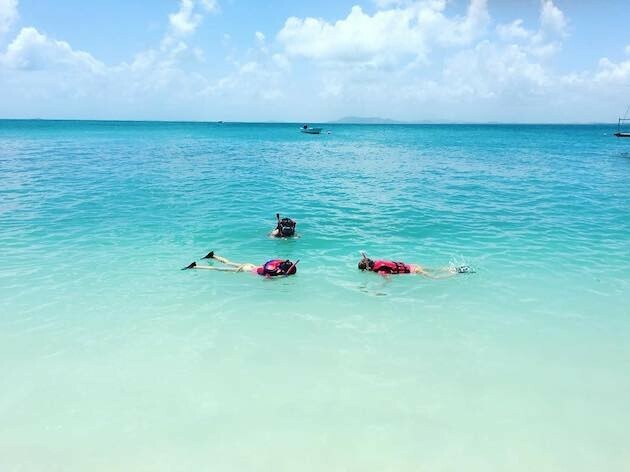 The marine life is out of this world and the water is crystal clear, making boat trips and snorkelling musts during your trip. Although accommodation is cheap, the food can be a little pricey, but you’ll feel right at home with roadside stalls around the Island providing cheap, authentic local food. Instead of getting the coach to Mersing, you can save even more money by driving yourself. Parking ranges from free to 15 MYR ($5) per night and you'll also have the added bonus of not having to wait around for late comers. 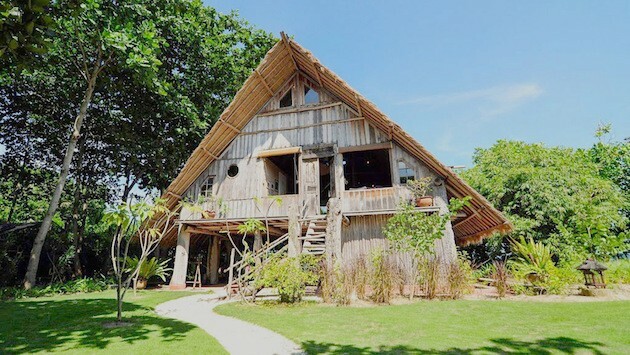 If you love treehouse resorts, here's a list of 10 treehouse resorts near Singapore you must visit! 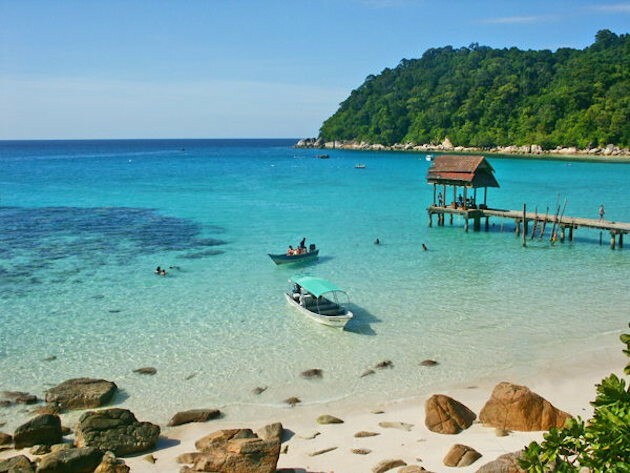 Getting There: The best way to reach Tioman is by making your way to Mersing, and then a Ferry to Salang Beach in Tioman. 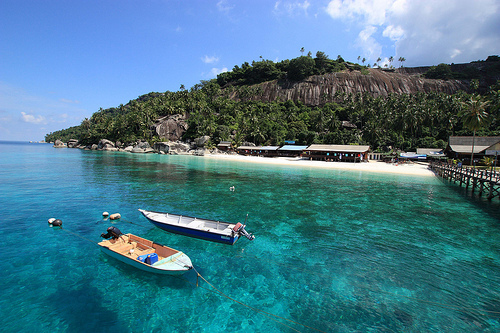 Pulau Dayang is different from the other destinations on this list for one main reason. While many people go on holiday to relax, drink cocktails on the beach and eat a little too much, Dayang is a place mainly known as a scuba diving destination offering some of the best diving in the world. Not only will you spend your days swimming with Whale Sharks among shipwrecks, but it can also take up to 8 hours to reach the Island. Take a quick look through its photos though and instantly realise why so many people travel for so long just to swim in its waters. If you’re looking for something other than a solid weekend of gaining weight, a diving trip is the perfect way to both step out of your comfort zone and also explore some of the most beautiful waters in the world at the same time. The accommodation is admittedly pretty basic, but it does mean that for a whole weekend of diving, accommodation, food and transport, you can get away with paying only $380-480 depending on where you book. Perhaps not the best spot for a typical weekend beach escape, but if you’re interested in exploring your adventurous side and trying something new then there aren’t many better places to do so. 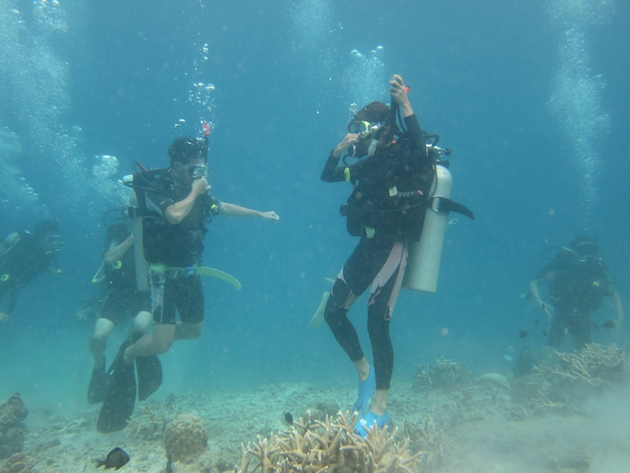 Getting There: Most dive centers in Singapore and Malaysia organize weekend dive trips. First you must reach Mersing jetty for around 11pm, before boarding the dive boat to the island. When to Go: February - November. 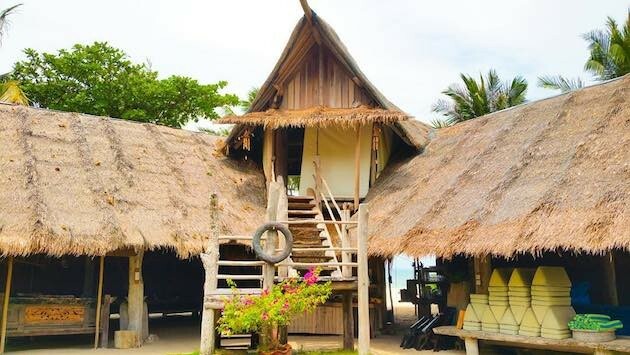 Sibu is another example of how sometimes the best way to escape from the stress of city working life, is to go back to basics for a few days, living on the beach in simple chalets and spending some quality doing nothing but relaxing. I wouldn’t normally be so keen to stay in chalet-style accommodation, but when you’ve got a massive sandy beach all to yourself and you feel more relaxed than you can ever remember, you may just be willing to give it a shot. 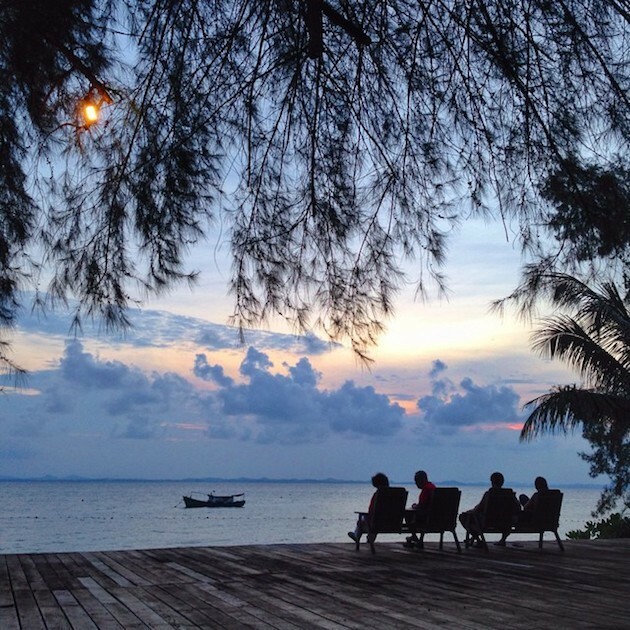 Sibu only has around 6 resorts on the island, and each seems to be lovingly run by either families or friends. Prices are affordable, with prices ranging from $80 per night onwards, including 3 meals a day, transfer and taxes, as well as it being only 3 hours from Singapore. Being fuss free and full of smiles is what makes Sibu stand out from some of the more ‘corporate’ hotels, perfect for when corporate may be exactly what you’re looking to escape from. Whether you want to chill by the pool, or go trekking through the surrounding jungles, Sibu has it all. 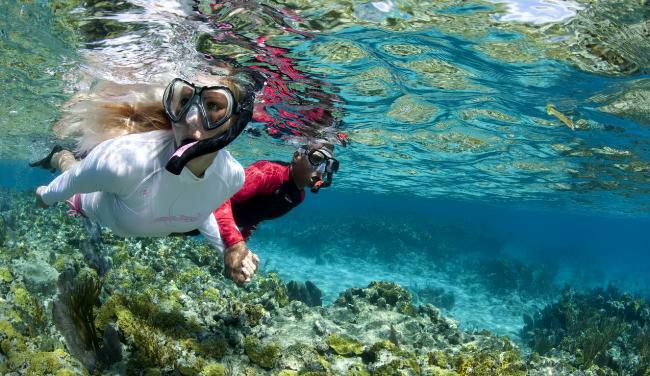 Scuba diving, golf and island hopping are all options for you here, so feel free to take your pick! 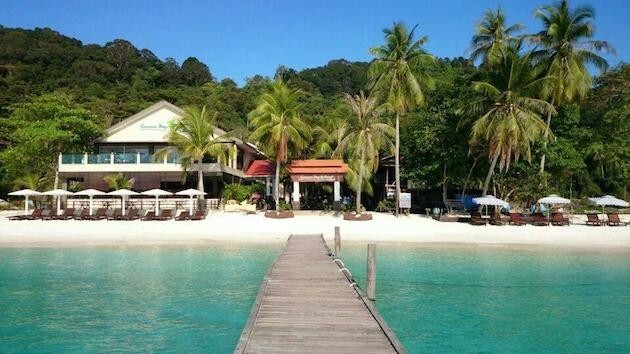 Getting There: Make your way to Tanjong Leman in Malaysia, and then the resort where you’re staying will organise someone to come and pick you up from there. Sure you may have been to Bintan before and you know that Phuket is always a safe option, but what fun is it when we have all these amazing destinations nearby, so close you don’t even need a plane? Most of them are also relatively undiscovered, so be that person who went there first and have the long weekend of a lifetime to prove it. Whether it’s with your friend, partner, or a treat for your parents, the choice is huge and the prices are cheap. With golden sandy beaches waiting for you, there’s never been a better time to go and discover your favourite local island.